Point-of-sale card advert. Height: 9"
Crumbs, this takes the biscuit, etc. 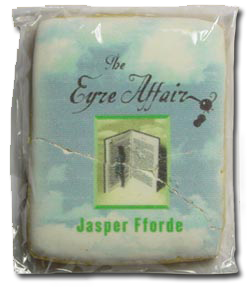 Yes, it's a printed cookie with my name on it, manufactured by 'Cookie Greetings', Ca. And I thought the kaleidoscope was strange! 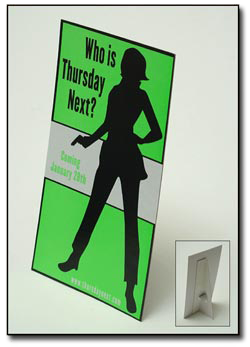 Promotional self-adhesive sticker. 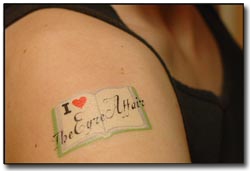 Width: 4"
Temporary 'I love The Eyre Affair' tattoo. Width: 2"